using and viewing your phone with an experience that feels second nature. Because it’s the small details that make a big difference. Life’s complicated, but answering a message while you drink your coffee shouldn’t be. 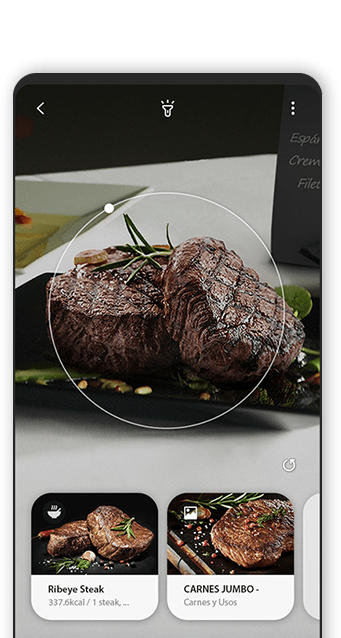 Our interface is designed for better reachability so it is easier to get to what you want. 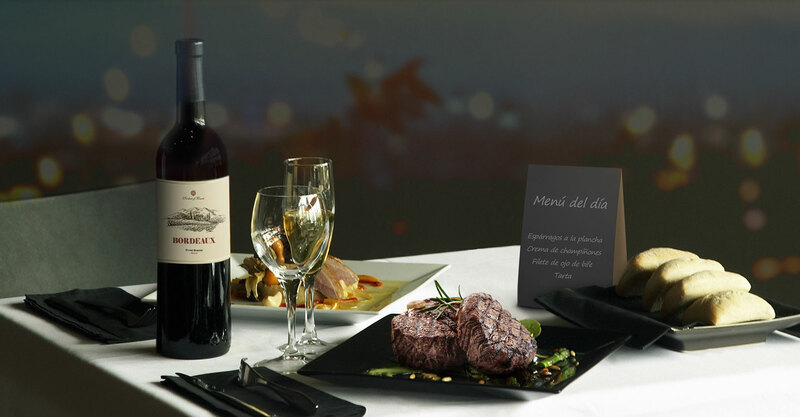 We keep it simple and show you what’s essential so you can get what you need at a glance. 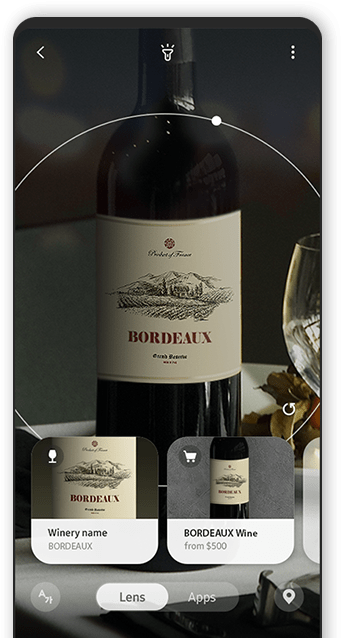 Point your camera at text, wine, or food to get a quick assist from Bixby Vision. * Supported language limited. For more information, please see https://www.samsung.com/global/galaxy/apps/bixby/vision/. ** The actual amount of calorie intake may differ by food and health status of the user. That stuff you do every day, like turning down the ringer before bed? 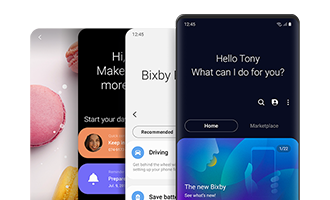 Bixby Routines learns your patterns and does it for you. 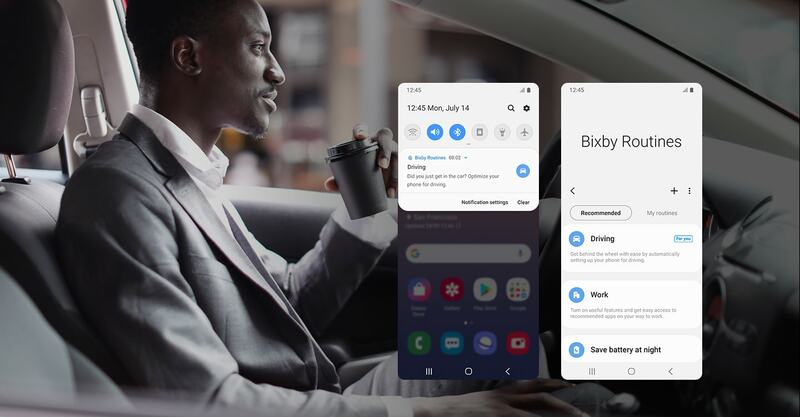 Get hands-free navigation and music as soon as you’re in the car, turn off sounds while you’re at school or work, or turn on Bluetooth so you can get the music started when you get home. 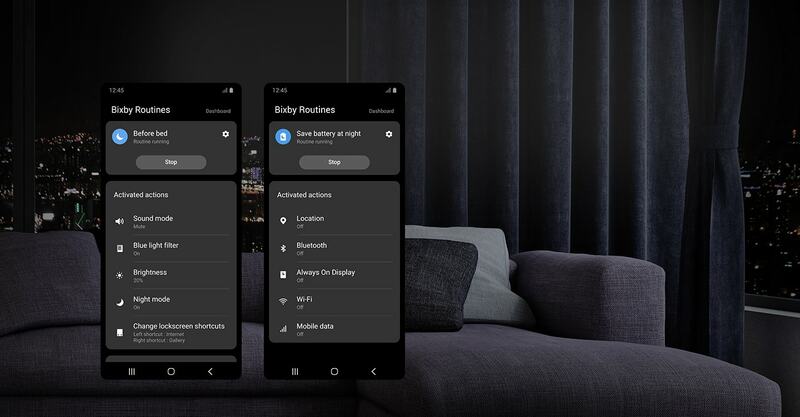 Whatever you need to wind down your day, Bixby Routines can make it automatic. 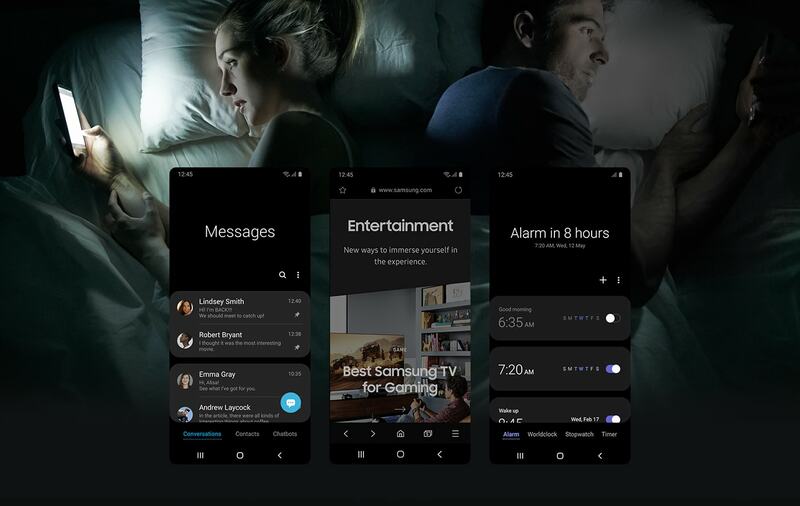 You can turn on the blue light filter, turn down the brightness, mute sounds, and get ready for a good night’s sleep. You can hear tomorrow’s schedule and weather. And you can optimize your battery so there’s still plenty left in the morning, even if you forgot to charge overnight. Night mode turns your phone dark. Switch to a darker view at night. Your eyes will thank you, and so will anyone who’s sleeping next to you. Secure Folder is your safe space. You can keep photos and files, even set up social media and chat apps with a separate account. The quick panel gives you instant access, and you can protect it all with a dedicated fingerprint. Capture the whole page, top to bottom, including what’s hidden below the screen. When you check the image later, you can go back to the website with a tap. * Only available in Samsung Internet Browser and Chrome Browser. 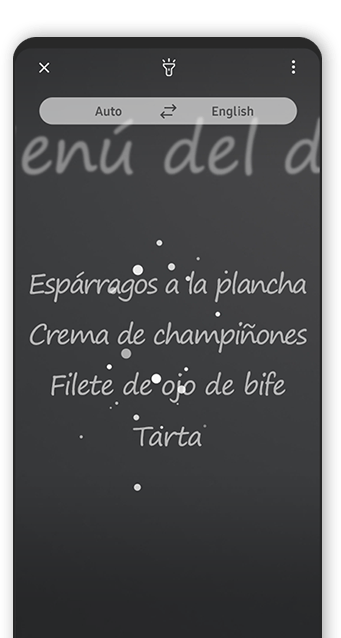 ** Not applicable with images captured in multi-window or DeX mode. Swipe away notifications, snooze them for later, or turn them off for the apps you choose. Whether it’s a Galaxy, Android, or iPhone, you can bring your old data to your new phone so you can pick up where you left off. * Transferrable type of data and contents may vary by OS type and version. 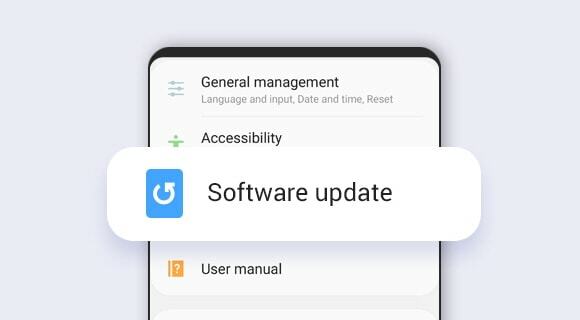 ** For more information, please see https://www.samsung.com/global/galaxy/apps/smart-switch/. The program is available for participants in China, France, Germany, India, Poland, South Korea, Spain, UK, and USA. How to join the One UI Beta Program? “One UI Beta Program Registration” to submit an application. select the Download Updates Manually option. This will allow the software to update and load the beta version. * Those in the USA must sign up through the Samsung+ app. *** The One UI Beta Program may only be available to certain devices, OS, and countries. Galaxy S9/S9+ and other devices with Android 9 Pie. **** Beta program period and compatible devices vary by country. 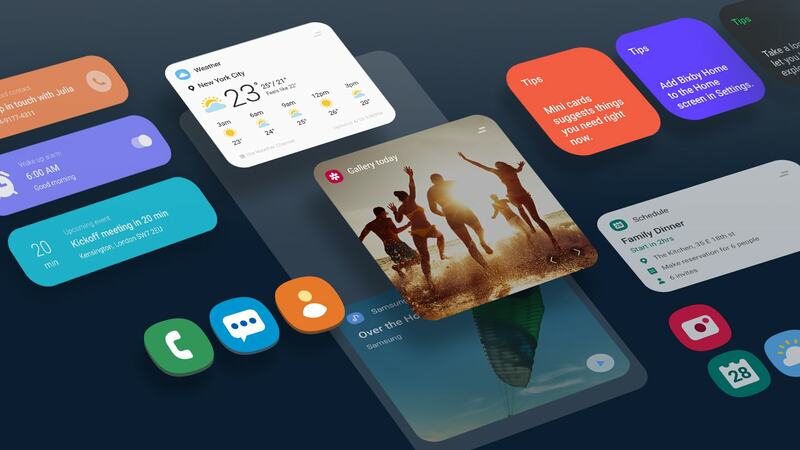 ***** One UI Features may differ depending on the devices participating the Beta. 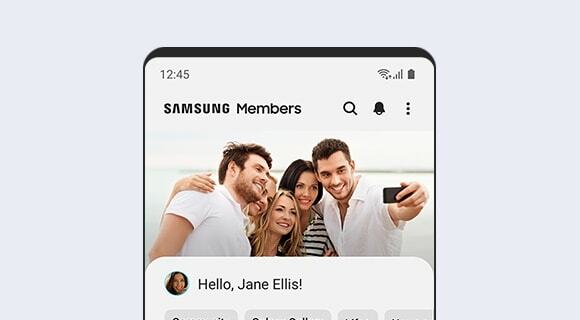 from Notices (P OS Update Notices) on the Samsung Members App. You can download and install Samsung Members from Galaxy Store. * Availability of One UI features, apps and services may vary depending on device, OS version and country. ** Device and screen images simulated for illustrative purposes. 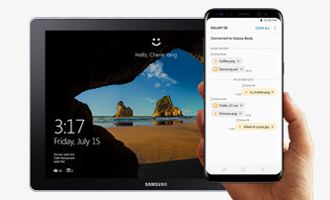 *** Certain features may require Samsung Account login, GPS connection, or data network (Wi-Fi or internet connection).